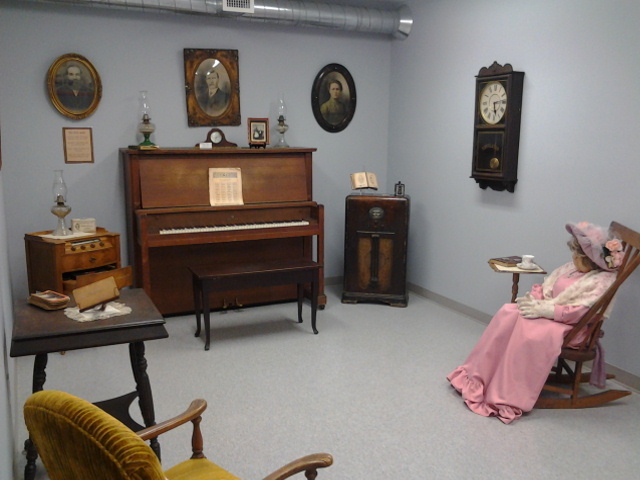 This exhibit is a recreation of a parlour. The original purpose of the parlour was to house dead bodies until funeral homes came into being. After that, the parlour became a living room, where people could entertain guests. 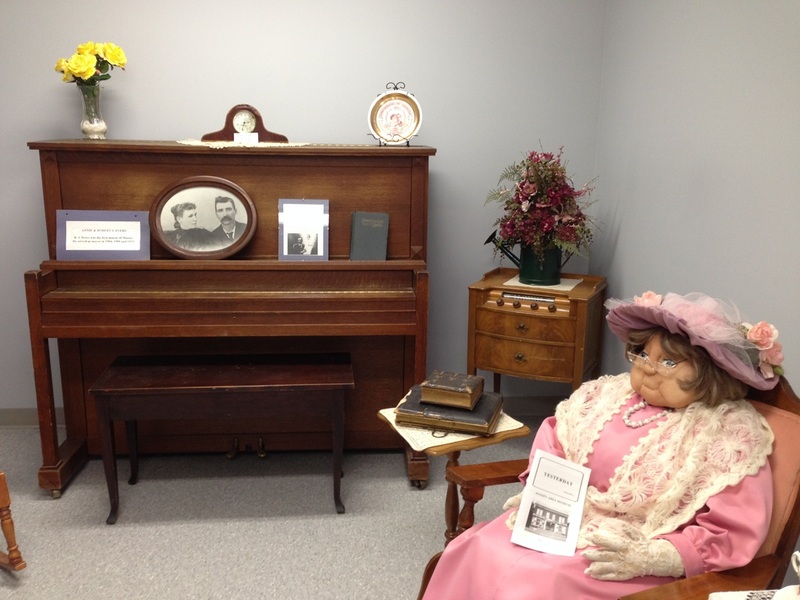 The photo on the piano is of Annie and Robert Byers.